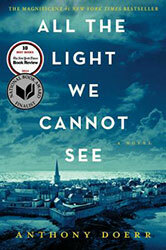 All the Light We Cannot See, by Anthony Doerr, was awarded the 2015 Pulitzer Prize for Fiction. "An imaginative and intricate novel inspired by the horrors of World War II and written in short, elegant chapters that explore human nature and the contradictory power of technology." The High Prairie Seed Library officially launched on Saturday, April 25, 2015! PPLD is very proud of the hard work that Rhonda Curtis, High Prairie staff member extraordinaire, has put into this 2 year project. High Prairie Library kicked off the grand opening with a speech from Rhonda (and tutorial), ribbon cutting, cake (carrot), refreshments, and lots of community engagement! In the process of creating the Seed Library we have made some strong connections to our communities in the area, garden clubs, and independent farmers, including generations of growers in the county extending to Calhan. High Prairie Library will conduct a contest for the biggest pumpkin patrons can grow using the giant pumpkin seeds from the Seed Library! The pumpkins will be judged at the 4th Annual Harvest Festival on October 3, 2015. A special thanks goes to the High Prairie Friends and staff, who have all contributed both time and resources to help get the Seed Library open. 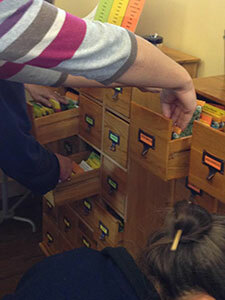 The High Prairie Seed Library joins the Manitou Springs Seed Library as PPLD's two seed repositories. Click here to visit the High Prairie Seed Library web page. 2015 Jean Ciavonne Poetry Contest Winners Announced! 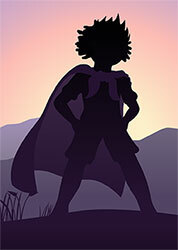 Olivia Heath - "The Net Bringer"
Delia Rose Philips - "The Homework Helping Heroine"
Ansley Irrgang - "The Hero Inside of Me"
Ryan Blumenhein - "Drill Hand Man"
Landon Janc - "Super Noodle Doo"
3D printing is just one of the many services we offer at Pikes Peak Library District. Come visit us! 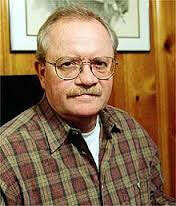 Colorado Poet Laureate Joseph Hutchison was featured on KCME's Culture Zone program which aired on March 29 and 30. Keith Simon of KCME 88.7 conducted the interview. Many thanks to KCME for sharing the audio with us! 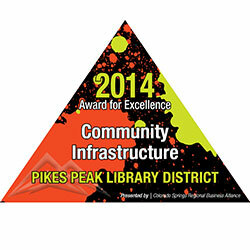 The Colorado Springs Regional Business Alliance recognized Pikes Peak Library District for their Excellence in Community Infrastructure award. "The Pikes Peak Library District proudly opened Library 21c this summer. It is the "launch pad" for 21st century library service and the first facility of its kind in the country. If you haven’t seen it yet, it will challenge everything you know about the public library. It’s not just a space, it’s a paradigm shift. Features include Makerspaces, Center for Public Media, Business & Entrepreneurial Center, a 400-seat Performance and Meeting Venue, and many additional services." Love playing board games? Want to try out new games each month and meet other teens interested in board games? Come to the Teen TableTop Gaming Club at Library 21c. We meet the first Friday of the month from 4 - 5:30 p.m. in the teen area. Each month we learn and play a different game (and sometimes get out old favorites as well!). Drop by and maybe you'll discover your new favorite game! For ages 12-18. Co-sponsored by Petrie's Family Games! When: 1st Fridays, 4 - 5:30 p.m.
Esteemed Colorado author Kent Haruf, author of Plainsong and other novels set in small-town Colorado, passed away on Sunday, November 30, 2014. Haruf was 71 years old. Haruf was born in Pueblo, Colorado in 1943. He was an undergraduate at Nebraska Wesleyan University and a graduate student in the Writers’ Workshop at the University of Iowa. He served in the U.S. Peace Corps in Turkey and taught high school English in Wisconsin and Colorado and fiction writing at Nebraska Wesleyan and Southern Illinois University in Carbondale. Haruf was awarded the prestigious Frank Waters Award by the Friends of the Pikes Peak Library District in 2012. Kent has received national recognition and awards for his books, The Tie That Binds, Where You Once Belonged, and Plainsong. Eventide won the Colorado Book Award and West of Last Chance, the prose/photo book co-authored with photographer Peter Brown, received the Dorothea Lange – Paul Taylor prize from the Center for Documentary Studies at Duke University. Businesses and Entrepreneurs: Take Note! Library Journal - "The Library of the Century | Design4Impact"
The Gazette - "Colorado Springs library is ahead of the tech curve"
Indeed, "(Libraries) are becoming the vibrant centers of the community where everyone is welcome and there is something available for everyone." After 15 years and 272,236 miles of service to the residents of El Paso County, Mobile Library 698 will be leaving tomorrow to serve another library district in Southern Colorado. Happy trails, old friend! Take a look at these quick, great videos of local teens and adults talking about some of their favorite banned or challenged books. 2014 Teens Top Ten - Votes are in! Teens around the country voted for the top ten books of the year! 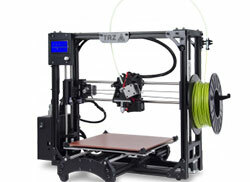 Check out the results here! The Manitou Springs Library recently received an old book (copyright 1897) with a typed letter explaining where the book has been the past few years. It is a touching story of a book that affected a patron many years ago, traveled the world, and returned. As a kid, many years before Manitou Springs became a redeveloped historic community, I spent hours and hours as a latchkey child with a single mother discovering classic books in your library. I remember the Manitou Springs Public Library as a mystical place of knowledge; an historic building whose contents fueled a desire for learning. Based on a desire for knowledge, I kept up my grades throughout school, eventually earned a scholarship to University, and graduated with a bachelor degree. One of the numerous books I checked out from your library was a 19th century picture book with delightful poems, photographs and stories about ancient Greco-Roman mythology. I had intended to return the book; however it was inadvertently packed in a box of belongings and moved from the area when my family suddenly relocated. Unfortunately, this was in the days before the Internet. I do not recall seeing the Manitou Public Library’s address anywhere within the volume, and could not return it. Eventually, after numerous relocations throughout the world, the book was finally lost … perhaps in a box that was not delivered … perhaps in a truck … or perhaps some divine deity from our mythological past decided enough was enough. Wherever that volume disappeared to, it was gone from the bookshelves that had temporarily lent it a place to rest during its global travels. Recently, I happened to remember the name of that volume and searched for it online and was delighted to learn it was neither an expensive nor a rare book, and there were numerous copies of it available so I ordered a volume to replace the missing book. That volume turned out to be a second edition; apparently this may have been quite a popular book for several generations of school children. Then I searched again, and found a first edition; printed in the 19th century, as I had remembered. 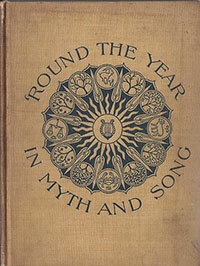 Enclosed in this package is that first edition of Round the Year in Myth and Song to replace the inspirational book of my childhood, to which I had become attached throughout the years before it was lost, so that it may return to your historic shelves, where I first found it many, many years ago. I hope you will accept my apologies for not returning the original book before it mysteriously vanished, and also my thanks for the gifts of knowledge and desire for learning that I received so long ago, as an elementary school kid who discovered a world of adventure within a small building in Manitou Springs. Going on Vacation? Suspend Your Holds! Picture this: You're lounging at a remote beach in the Caribbean. Suddenly you realize you have holds available at the library. Oh, the humanity! Luckily, you can suspend holds that are not available yet. You still rise up the hold queue when the hold is suspended, but it doesn’t become available until the “unsuspend” date. Click on the Holds tab. Select the title you'd like to suspend and click the "Suspend Hold(s)" button at the bottom of the list. Enter the start and end dates for the suspension. To cancel your hold suspension, select the title you'd like to unsuspend and click the "Cancel Hold Suspension(s)" button at the bottom of the list. A PPLD staff member was at the Walmart across the street this afternoon when a cashier approached her and said (with tears in her eyes). Lois Beebe Hayna was honored at the recent Colorado Authors' League (CAL) Banquet with the first ever CAL Lifetime Achievement Award. Congratulations Lois! Some winners of the 35th Annual Telly Awards have been announced and Pikes Peak Library District’s Jamey Hastings and Heather Jordan have been awarded a Silver Telly (highest honor) for their film In Our Own Backyard: Reflections on the Waldo Canyon Fire. The film features the stories of families and individuals affected by the Waldo Canyon Fire and the first responders who valiantly battled the blaze in the neighborhoods of northwest Colorado Springs. Based on extensive interviews conducted by PPLD archivist Jordan, the film is a moving portrait of a community persevering hard times and coming together to rebuild. Founded in 1979, the Telly Awards is the premier award honoring outstanding local, regional, and cable TV commercials and programs, the finest video and film productions, and web commercials, videos and films. Winners represent the best work of the most respected advertising agencies, production companies, television stations, cable operators, and corporate video departments in the world. A prestigious judging panel of over 500 accomplished industry professionals, each a past Winner of a Silver Telly and a member of The Silver Telly Council, judged the competition, upholding the historical standard of excellence that Telly represents. Koyoonk’auwi (Concow) poet Janice Gould was the Pike’s Peak Poet Laureate for 2014-2016. Her poetry has been published in over sixty publications, and has won awards from the National Endowment for the Arts, the Astraea Foundation for Lesbian Writers, the Pikes Peak Arts Council, and from the online publication Native Literatures: Generations. Her books of poetry include Beneath My Heart, Alphabet, Earthquake Weather, and most recently, Doubters and Dreamers, a finalist for the Colorado Book Award for 2012, and for the 2012 Binghamton University Milton Kessler Poetry Book Award. She is the co-editor, with Dean Rader, of Speak to Me Words: Essays on Contemporary American Indian Poetry. In March 2012 Janice completed a Residency for Indigenous Writers at the School for Advanced Research in Santa Fe, New Mexico. A musician as well as a poet, Janice plays guitar and accordion, and helped found and performed with Trio Pan Dulce in Portland, Oregon. She earned her Ph.D. in English at the University of New Mexico, and more recently a Master’s in Library Science from the University of Arizona. Janice is an Associate Professor in Women’s and Ethnic Studies (WEST), where she developed and directs the concentration in Native American Studies. From 1910 until it closed in 1970, Pathé News was one of the world's best-known news agencies. Based in Britain, and indeed originally known as British Pathé, it produced tens of thousands of filmed news reports, covering major stories and events all over the world. 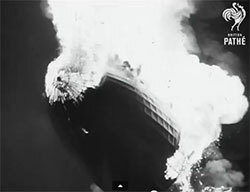 Last week, its entire archive of 85,000 videos was put online, on a dedicated YouTube channel that you can browse and view at https://www.youtube.com/user/britishpathe entirely free of charge. So whether you're interested in coverage of the Hindenburg airship disaster from 1937, Arnold Schwarzenegger winning Mr Universe in 1969, or baby chickens hatching in a frying pan, you'll find it all here. And yes, the chickens in the frying pan is real. See https://www.youtube.com/watch?v=N7li6AK5QuU for the full report.